Quantum computation uses the rules of quantum mechanics to process information in a way that is fundamentally different than a digital computer. This enables the construction of algorithms that are exponentially faster than the best know current algorithms. These provable quantum speedups are currently beyond our reach due to the limitations of available quantum processors. I will give an overview of the state of the field and the challenges of scaling the hardware. I will discuss our recent work on quantum error correction and how this points towards the value of co-designing the hardware architecture and the applications. Associate Professor, Duke University on February 15, 2019 at 1:00 PM in EB3 2201. Kenneth Brown is an Associate Professor of Electrical and Computer Engineering, Chemistry, and Physics at Duke University. From 2007-2017, he was a faculty member in the Schools of Chemistry and Biochemistry, Computational Science and Engineering, and Physics at Georgia Tech. In 2018, he was elected a Fellow of the American Physical Society and has previously served as the chair of the Division of Quantum Information. 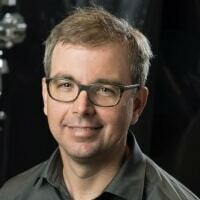 He currently directs the Software Tailored Architecture for Quantum co-design (STAQ) project funded by the National Science Foundation to construct a programmable, fully-connected quantum computer. The Department of Electrical and Computer Engineering, sometimes in conjunction with other NC State departments makes an ongoing effort to invite the brightest experts from academia, business, and research to come speak and share their ideas, experiences, and research with faculty, students, and alumni at NC State.